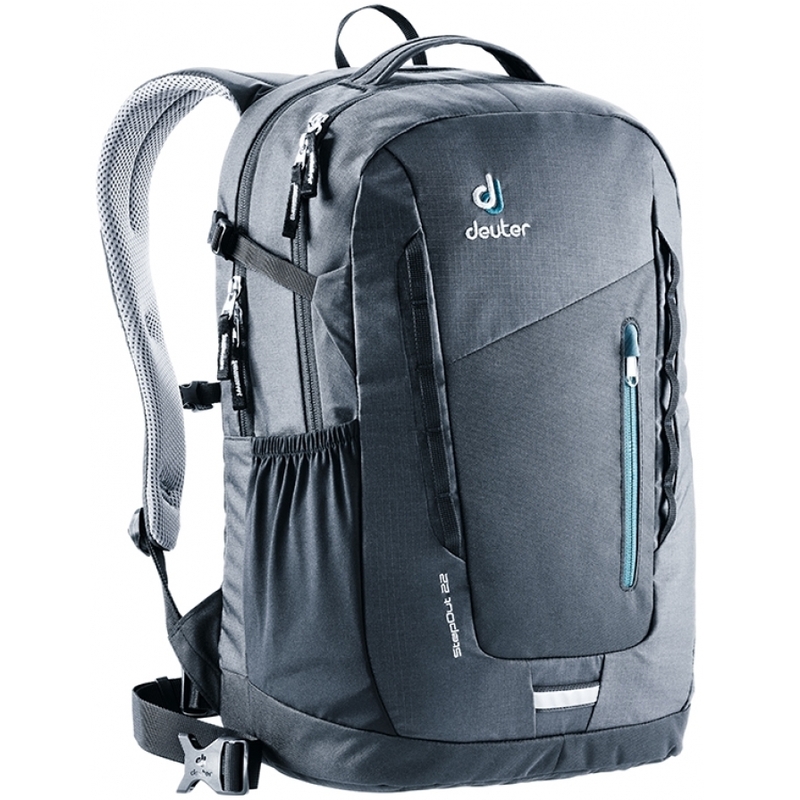 Deuter StepOut 22 Laptop Backpack is a city or travel backpack with Airstripes System which offers you outstanding air circulation and great comfort. It is PRC free water and dirt resistant. It also comes with a document and laptop compartment. Perfect for travel, city, business or school usage. Airstripes System: Outstanding air circulation; means less sweating. 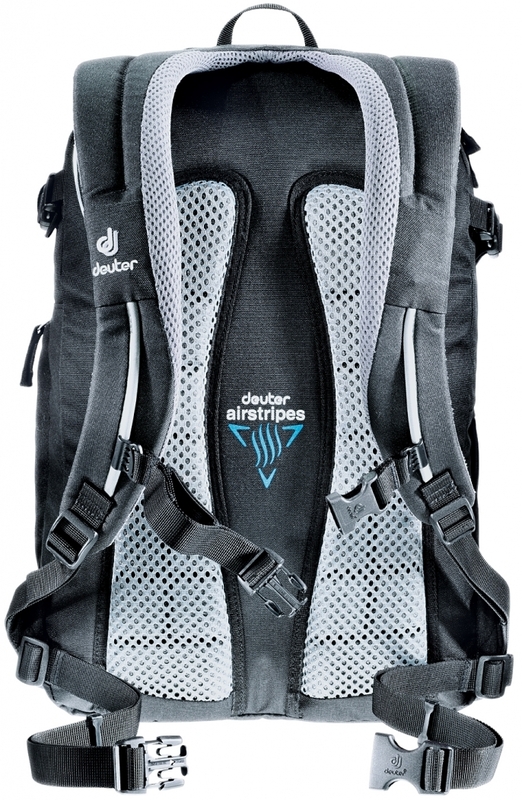 Fits like a glove through ergonomically cut S-shape shoulder straps. Additional stability for heavy loads; provides a detachable waist belt. High Carrying comfort; guarantees the bilaminate construction made from one soft and one firm layer of foam. Pockets on the outside: stretch pockets on the side and in the front provide additional storage. Valuable pocket: special valuable pocket inside to keep valuable items safe. 600D PES: Made from 600 den Polyester thread and with a thick PU coating, this multi-purpose fabric is robust and lightweight. 210D PA: Nylon material in hard wearing 420 denier and 210 denier density. Special high density denier polyamide offers high abrasion resistance with it's very tight weave.